Months after a politically embarrassing $1 billion shortfall that put veterans' health care in peril, Veterans Affairs officials involved in the foul-up got hefty bonuses ranging up to $33,000. The list of bonuses to senior career officials at the Veterans Affairs Department in 2006, obtained by The Associated Press, documents a generous package of more than $3.8 million in payments by a financially strapped agency straining to help care for thousands of injured veterans returning home from Iraq and Afghanistan. Among those receiving payments were a deputy assistant secretary and several regional directors who crafted the VA's flawed budget for 2005 based on misleading accounting. They received performance payments up to $33,000 each, a figure equal to about 20 percent of their annual salaries. The bonuses were awarded even after government investigators had determined the VA repeatedly miscalculated — if not deliberately misled taxpayers — with questionable methods used to justify Bush administration cuts to health care amid a burgeoning Iraq war. Annual bonuses to senior VA officials now average more than $16,000 — the most lucrative in government. 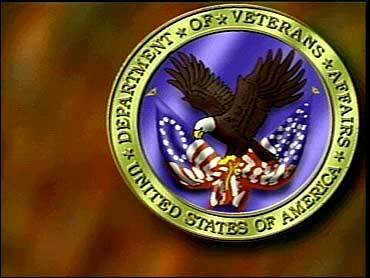 The VA said the payments are necessary to retain hardworking career officials. "Hundreds of thousands of our veterans remain homeless every day, and hundreds of thousands more veterans wait six months or more for VA disability claim decisions," said Paul Sullivan, executive director of Veterans for Common Sense. "The lavish amounts of VA bonus cash would be better spent on a robust plan to cut VA red tape." Sen. Daniel Akaka, chairman of the Senate Veterans' Affairs Committee, said the payments pointed to an improper "entitlement for the most centrally placed or well-connected staff." Seeking an explanation from Secretary Jim Nicholson, Akaka also asked the department to outline steps to address disparities in which Washington-based senior officials got higher payments than their counterparts elsewhere. "Awards should be determined according to performance," said Akaka, D-Hawaii. "I am concerned by this generous pat on the back for those who failed to ensure that their budget requests accurately reflected VA's needs." A VA spokesman, Matt Burns, said the department was reviewing Akaka's request. Burns contended that many of the senior officials had been with the department for years, with an expertise that could not be replicated immediately if they were to leave for the more profitable private sector. "Rewarding knowledgeable and professional career public servants is entirely appropriate," he said. "The importance of retaining committed career leaders in any government organization cannot be overstated." The bonuses are determined by the heads of the VA's various divisions, based in part on performance evaluations. All requests are submitted to Nicholson for final approval. The admission, months after the department insisted it was operating within its means and did not need additional money, drew harsh criticism from both parties and some calls for Nicholson's resignation. Steve Ellis, vice president of Taxpayers for Common Sense, said the VA bonuses appeared to reflect a trend in government in which performance bonuses were increasingly used to reward loyal associates and longtime employees. Put in place shortly after the 1978 Civil Service Reform Act, executive bonuses were designed to increase accountability in government by tying raises more closely to performance. But while bonuses can help retain key employees, damage can be done when payments turn into an automatic handout regardless of performance, Ellis said. "Simply put, people who nearly shortchanged our veterans shouldn't get a bonus check at the end of the year," he said. Joe Davis, spokesman for Veterans of Foreign Wars, one of the nation's largest veterans groups, agreed. His organization is awaiting Nicholson's explanation, saying that the budget shortfall was partly to blame for backlogs and other problems. "No one joins the government to get rich, and the bonus may be used as a retention tool to keep the best and the brightest, but it must be performance-based in award to be fair and impartial," Davis said. "Anything else could be viewed as favoritism."